Donna Lee was born on March 8, 1933 to Blanche (Clouse) and Claude Massey in Wayne County, Iowa and passed away on November 17, 2018 at Legacy Lodge in Chariton, Iowa. She was preceded in death by her parents, grandparents and husband, Robert George. Donna is survived by her long-time friend and companion, Norval Lowe, daughter, Debbie, son-in-law, Ken Fisher, grandchildren, Matt (Karen) Fisher and Mandy Page, great-grandchildren, Drake Page, Ty Fisher, Andy Fisher, Arabella Page, Megan Fisher and Kenny Fisher as well as many friends and relatives. Donna grew up in Wayne County and attended Cambria schools, graduating in 1951. She married Rex Moore in 1951 and they had one daughter, Debbie. 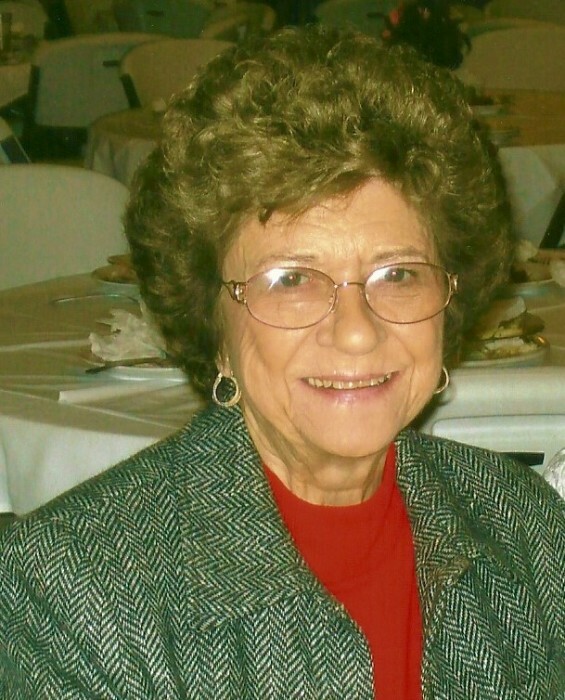 Donna worked in Chariton for many years, first at the National Bank, and then in the 1970’s at the Production Credit Association and ASCS office. In 1976, Donna left the area, moving to Des Moines where she discovered a love of property management in managing Westchester Village Apartments for Iowa Realty, opening 11 new buildings with 330 apartments. One of her biggest thrills was renting 8 apartments on her birthday, March 8th. During her time at Iowa Realty, she met and married Robert George in 1983, but lost him to cancer a year later. In 1988, Donna retired and spent several years enjoying life in Cherokee Village, Arkansas, returning to Chariton in 1991. Her love for property management surfaced again in 2002 when she moved to Friendly Acres Mobile Home Park and managed that property for several years. She enjoyed her friends and neighbors there for 14 years, before moving to Homestead Assisted Living in November of 2016. The family would like to extend special thanks to the staff at Homestead Assisted Living and Legacy Lodge. In lieu of flowers, contributions may be made to the Arthritis Foundation.